If there was one Everlane purchase I regret this year it would be this Form Two Strap Sandal. 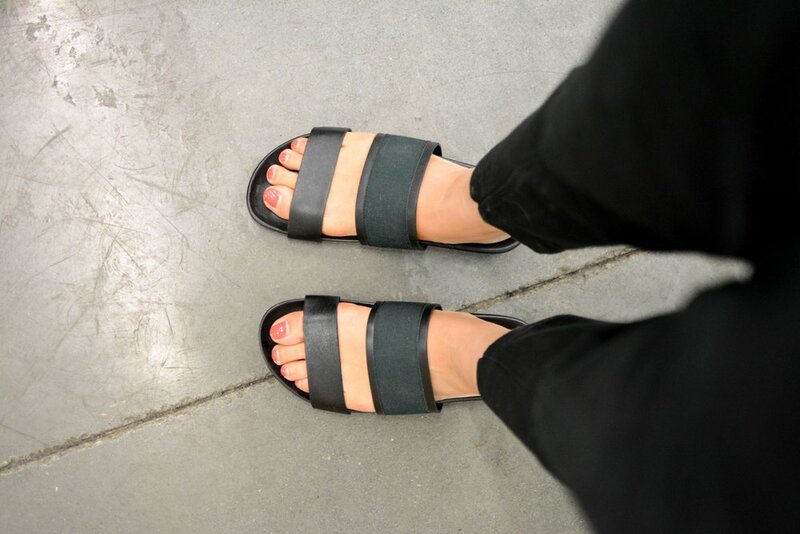 I purchased the Form Sandals last year in the plum color (now on sale at Everlane), and though I wore it a lot I always thought it was on the ugly side. 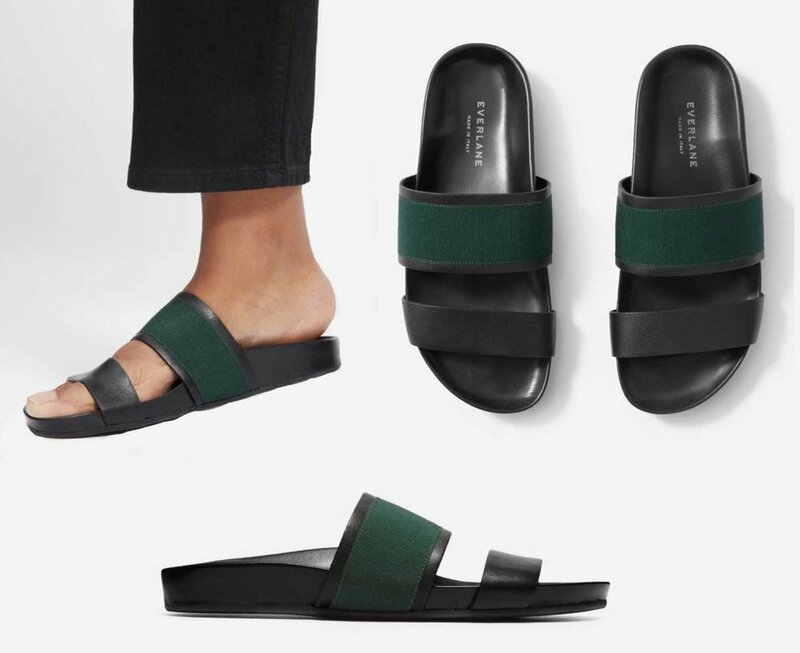 So when I saw Everlane's new sandals for this summer, I impulsively purchased them thinking they would be my new leather sandal for the summer. I especially liked the green fabric stripe on the larger band (it looked a tad Gucci-esque to me) and I loved that they added a rubber layer at the bottom so that it's grippier than last year's version. But here's the thing, I also purchased a pair of Birkenstocks (similar) in May after swearing never to be caught dead in them...ever. But when I was in a Nordstrom Rack in Hawaii (tagging along with some friends), I tried on a pair. And ohhhh maaaaii they are so comfortable. It was kind of love at first wear. So with two new sandals in my collection, sadly these Everlane ones got neglected. As I mentioned on Monday, I've worn my Birkenstocks so much that they made it into my top 10 most worn items (so far I've worn them 23 times since May). On the other hand, I've only worn these Everlane sandals a grand total of 3 days (woomp woomp). So I don't know if I can honestly recommend these Everlane sandals. Compared to the Birkenstocks, the sole feels a lot thinner while the straps aren't nearly as comfy. However, aesthetically, I really like the look of these sandals. But for me, that's no longer enough (I'm firmly in the old lady camp of comfort over looks). But if you are interested in these sandals, they are true to Everlane size (which for my slightly wide feet is a half size bigger than my normal size, ie I get a size 8 in Everlane but 7.5 in most other shoes). Anyway since I'm not wearing these sandals and they're just sitting around in my closet, I figure someone else could get better use out of them. Like I said, I've only worn them 3 times. So you can find the for sale here.